A woman who lost her case involving injuries from the Depuy ASR metal-on-metal artificial hip has been awarded a new trial. In 2013, a Chicago jury found that Depuy was not responsible for Carol Strum’s injuries following the failure of the ASR hip. The jury found that the hip components manufactured by Depuy Orthopaedics did not cause the injuries to the plaintiff. Ms. Strum had sued DePuy in Chicago in 2011, alleging that the DePuy ASR implanted in January 2008 failed and required painful revision surgery. She also claimed that she suffered from metallosis. 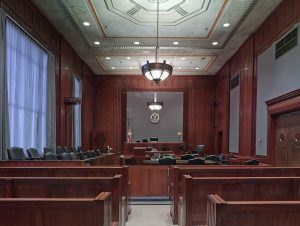 On September 19, 2017, Judge Mary Dooling in Chicago granted Ms. Strum a new trial on the grounds that a surgeon and joint replacement scientist was unfairly prevented from testifying on behalf of the plaintiff in the original trial. Judge Dooling held that the decision to bar testimony from David Langton, a joint replacement fellow at Newcastle University, was reversible error. Dr. Langton studies metal-on-metal implants, and he was listed as an expert witness to testify regarding his joint replacement research. The judge in the original trial barred his testimony on the grounds that Dr. Langton’s methodology was not generally accepted by the scientific community. You can access the Order here: Strum New Trial Order. I first wrote about Ms. Strum’s case here. I will let you know the outcome of the second trial.